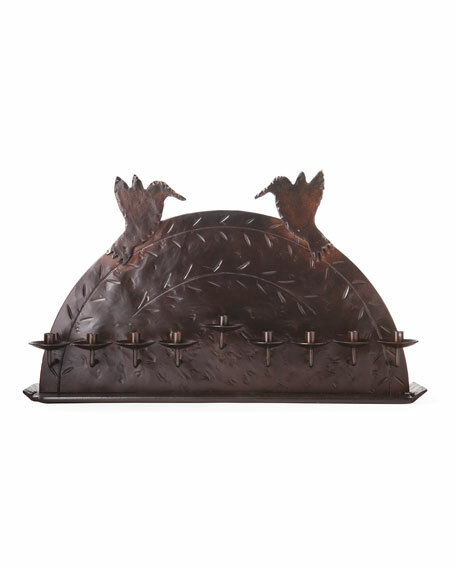 Forged & engraved hacienda-inspired Hanukkah menorah with hummingbirds. Inspired by the romance of historic Mexico, Jan Barboglio creates decorative iron accessories featuring glass and wooden accents. Every piece is cut, fashioned, forged, and finished by hand, and each is accompanied by a meaningful sentiment, proverb, or poem.